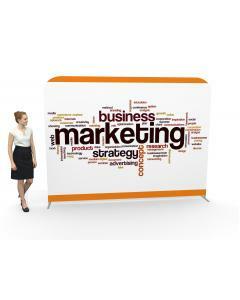 Choose from a great range of modular exhibition stands, any size, shape or design. 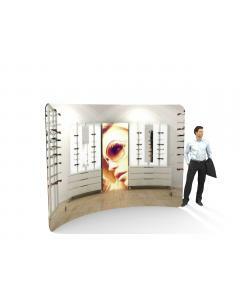 Choose from self build or portable modular displays as well as more complex custom designed exhibition stands. The term modular exhibition stand simply refers to an exhibition stand that is made up of separate components, which all fit together to create a complete display. 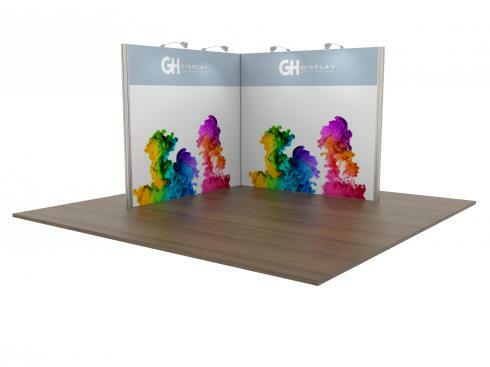 GH Display have been creating modular exhibition stands for over 40 years and we can supply a modular solution to meet your design aspirations, branding requirements and budget. 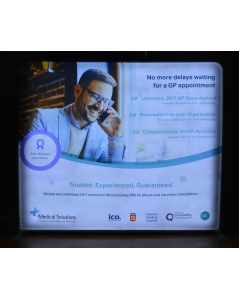 We tend to think of modular stands as fitting into one of three groups; portable stands, self build custom modular stands and fully installed modular stand that you can buy or hire. 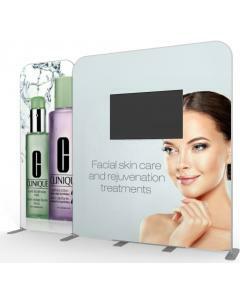 Modular exhibition stands can be adapted easily and added to, as and when your business requires a different design, size or layout. You can purchase a modular system from us or hire one. Below are our full range of modular exhibition stand options. Many you can buy online following the links, or for something more bespoke and custom designed, you can request a quote by completing our quotation request form below. 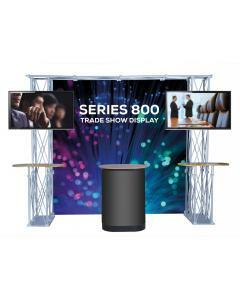 We stock a large range of portable modular exhibition stands, ideal for the exhibitor who needs an exhibition solution that is lightweight, quick and easy to install. 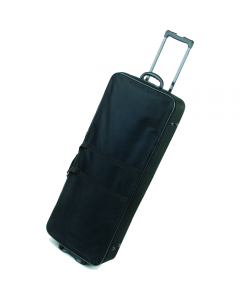 Our entire range can be added to, or reconfigured for other uses. 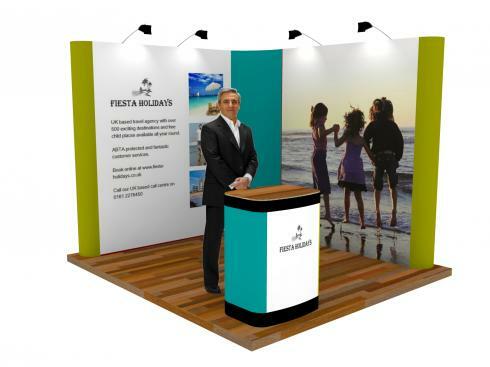 A portable modular exhibition stand is great for using in shell scheme systems as well as trade show events where you simply have a floor space. Most of our systems can be installed by one or two people and usually with no need for tools or specialist knowledge. All of our modular exhibition stands can be extended and reconfigured making them ideal for growing businesses and exhibitors who may want to change the size, layout and design. 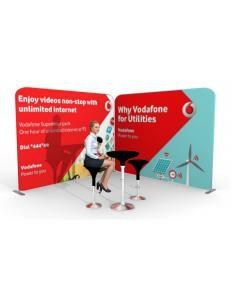 Many of our portable exhibition stands are two or more kits linked together with clever adaptation kits or linking graphic panels. 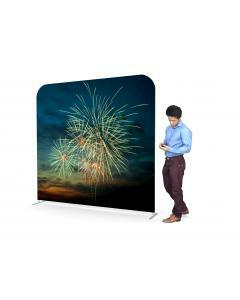 This makes them simple to install and extremely portable, as well as giving you options to use display sections, independently of each other. 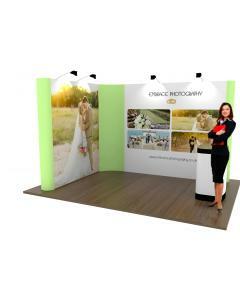 Browse our portable modular exhibition stands here. 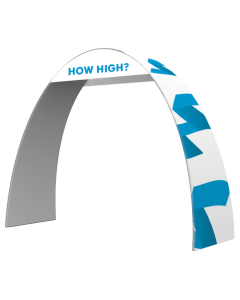 Many of our customers want the high-end quality and the tailored uniqueness of a custom exhibition stand, but without the ongoing cost of installation by a stand builder. Providing they have the resources and basic skill within their business team, we can design a custom modular exhibition stand that can be self built, reconfigured and modified as and when required. A popular custom modular self build choice is an aluminium framed system that locks together using an Allen key mechanism. We can create any size stand and layout, with a huge range of features, architectural shapes, storage, meeting rooms and custom displays. 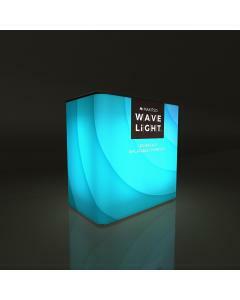 Self built modular exhibition stands can include light box tension fabric walls to truly illuminate your brand. Many of our Self-Build Modular Exhibition Stand System have been developed to plug the gap between exhibitors wanting something more refined than a portable exhibition stand, but also needing a system that is cost effective, transportable and can be self built. We have created a number of standard sizes - 3x2, 3x3, 3x4 and 3x5, which can be purchased from the Modular Exhibition Stands section of our online shop. 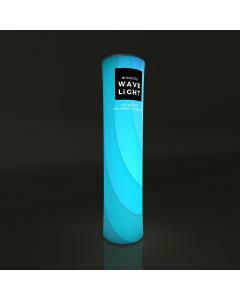 These are designed to be used in both a shell scheme system as well as a space only exhibition. 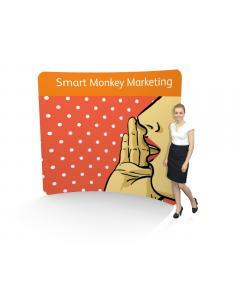 In addition to the standard sizes we can also build something bespoke to you, for use as a self-build exhibition stand. To fully explore your options you can call us on +44 (0)1733 570222 or complete our quotation request form below. We have been designing and building exhibition stands for over 40 years and because of this, we have a huge range of modular systems in stock for hire purposes. 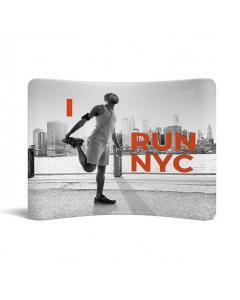 We can create any shape or size exhibition stand making it truly custom to your business and event. 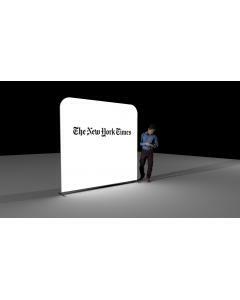 A hired modular exhibition stand includes the cost of transportation and installation. We also have a broad range of hired furniture, TVs, monitors, iPads, counters, literature and iPad stands. 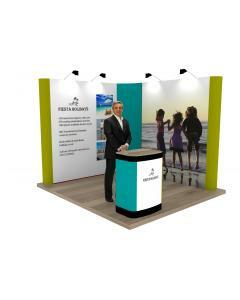 For those companies who exhibit two or more times per year, we often recommend they consider purchasing a modular exhibition stand. 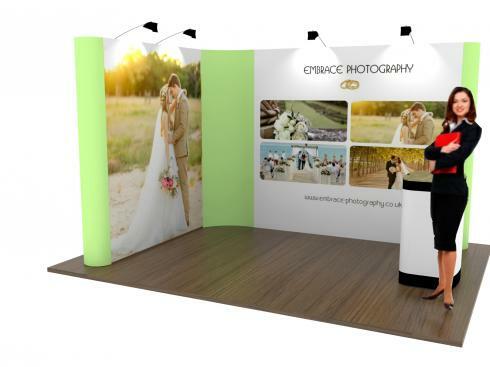 Depending on how many events a year the stand is used, the initial upfront cost of buying the stand is often recovered after just one year of exhibiting, through the savings made by not hiring an exhibition stand. 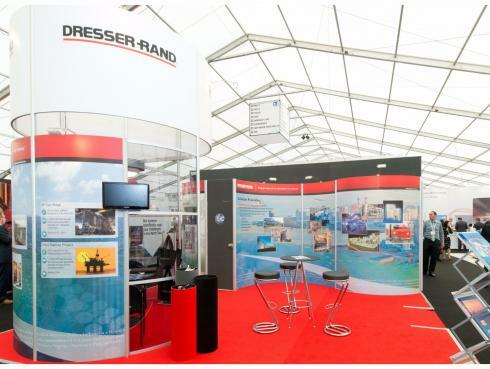 A modular exhibition stand system is so flexible and can easily be enlarged or reconfigured to suit different events, different stand spaces and sizes. When it's time for a new look you simply replace the graphics and you have a whole new display. Our modular exhibition stand systems are available with different exhibition graphics, including; tension fabric graphics with or without LED light boxes and fitted using silicon beading, rigid foamex graphics and vinyl graphic panels, fitted using magnetic tape. 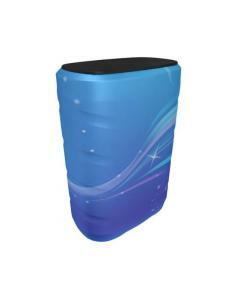 We can offer exhibition stand storage to customers that we provide stand design, build and installation services to. To obtain a quote for a modular exhibition stand for either hire or purchase call us on +44 (0)1733 570222 or complete our quotation request form below. 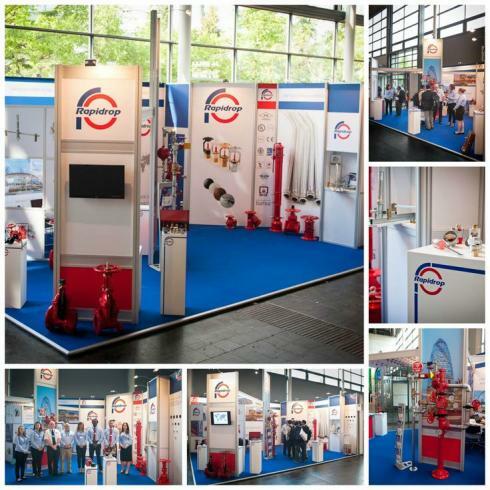 You can browse some of our recent exhibition stand case studies in our portfolio.